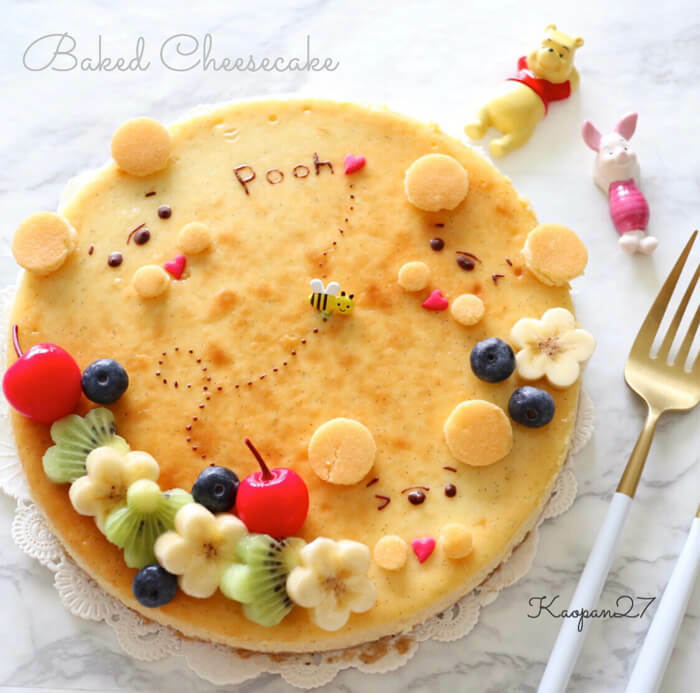 In this “character recipe” you will learn how to make a Winnie-the-Pooh Baked Cheese Cake using a food processor. This menu item is very easy to make and is so delicious! 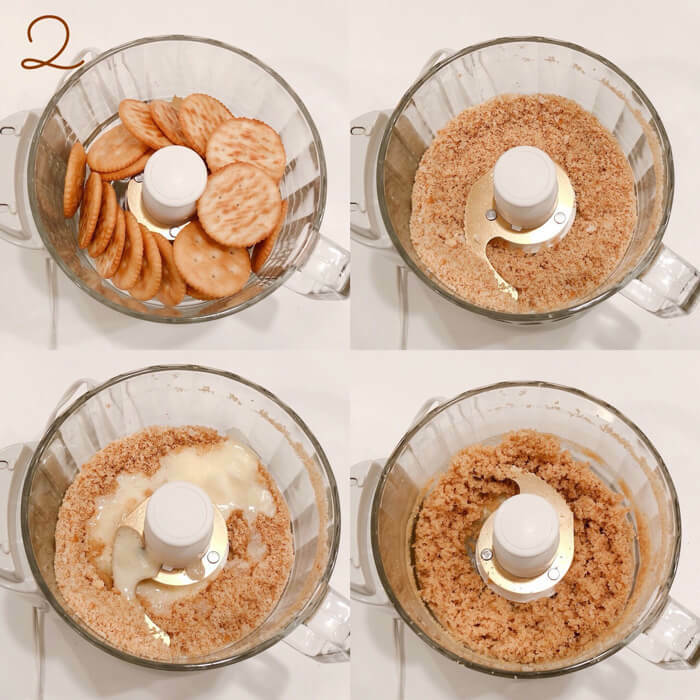 2：Put the crackers into a food processor and grind them up. Then, put butter into the processor and mix the ingredients together. 3：Cover a potato masher with a food wrap and put the ingredients in step 2 inside the pie pan. Press until the shell is firm. 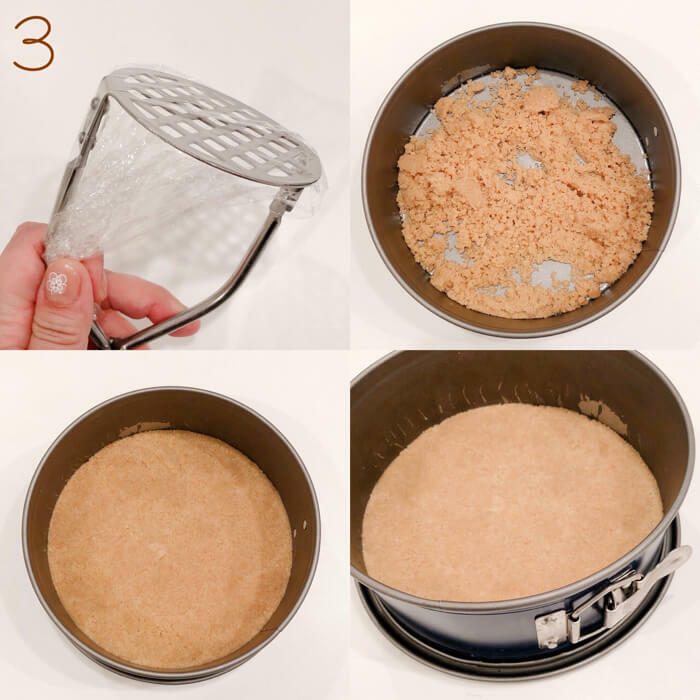 ☆It is recommended to use a “drop out bottom” pie pan but you can use a disposable paper pie pan if you don’t have one. ③Pour in the sour cream and mix it in with the ingredients. ④Add the vanilla beans and mix it together with the ingredients. 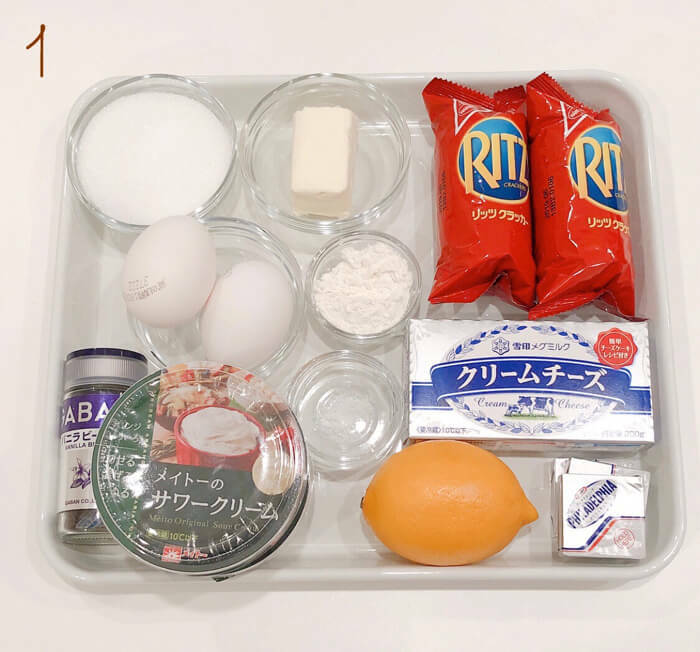 ⑤Add the egg and egg yolk and mix them together with the ingredients. ⑥Add the lemon juice and cake flour and mix them together with the ingredients. Pour in the cream cheese mixture into the pie pan mentioned in step 3. Bake in a preheated oven (160℃) for 50 minutes to an hour. 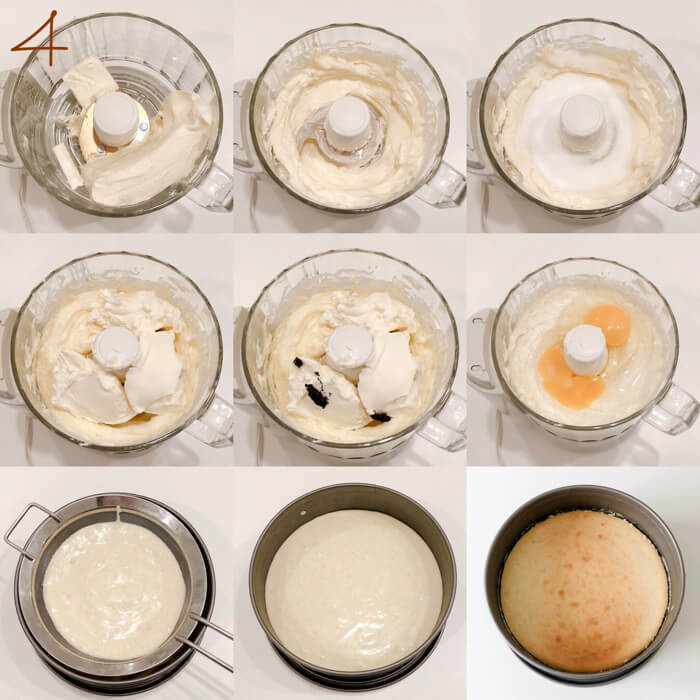 Cool the cheese cake and remove the paper at the bottom carefully. ☆Make adjustments in the baking time depending on the oven that you are using. ☆This time, I didn’t want the cheese cake to look brown so I placed some aluminum foil on the top of the cake after baking for 20 minutes. 5：Cool the cheese cake in the refrigerator and decorate it. 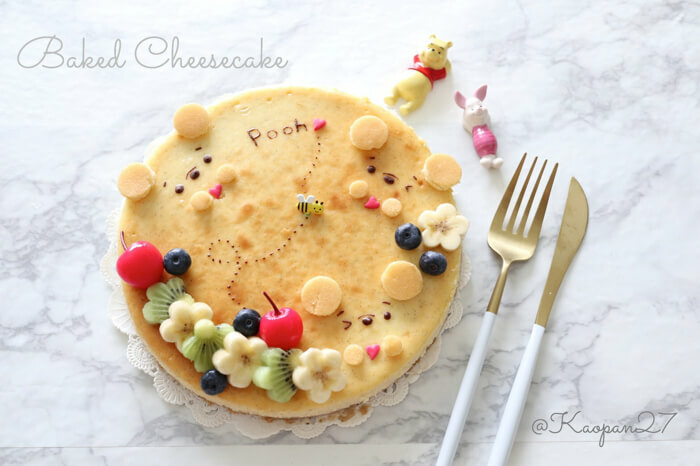 ☆I used a store-bought cheese cake to make the ears and hands of Winnie-the-Pooh. 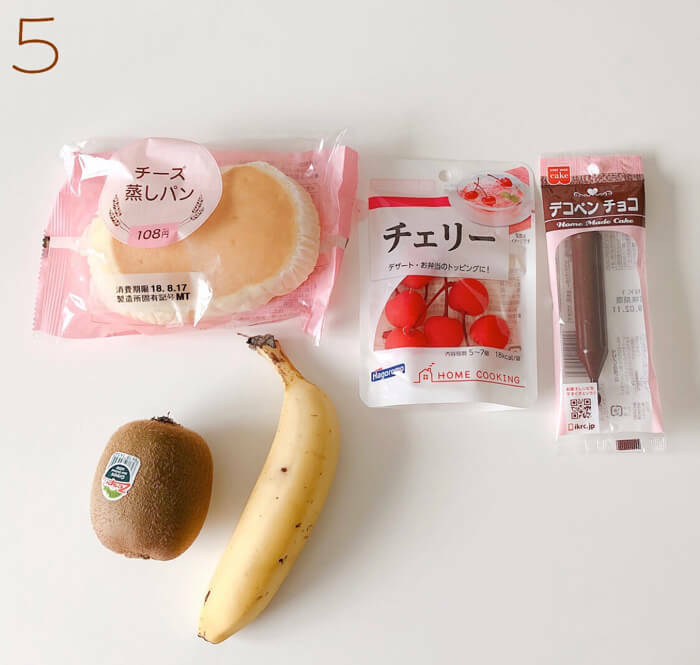 Decorate the cake with your favorite fruit! The cake is delicious even without decorations, of course! 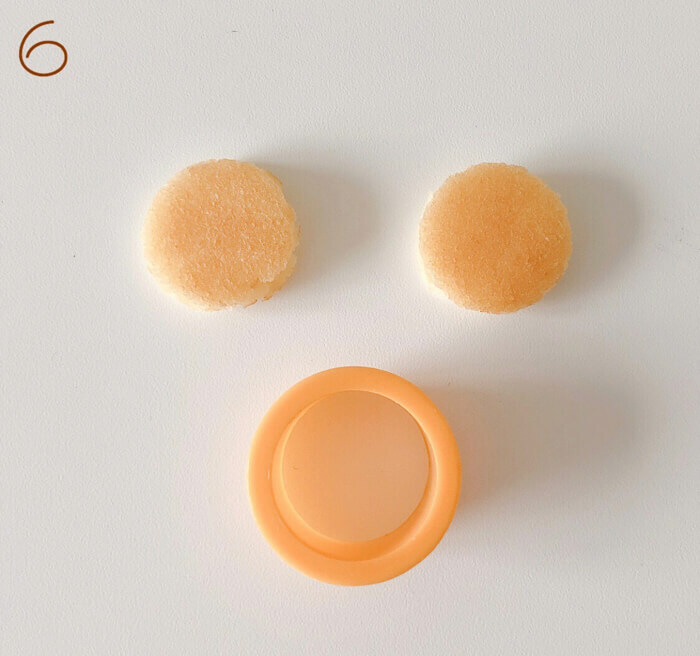 6：Use a circle cutout as shown in the photo below to make the ears and hands. I bought the cutouts at Seria (a 100-yen shop). Draw the face using a chocolate pen and….voila, your Winnie-the-Pooh Baked Cheese Cake is now complete!